When I think of road trips I tend to think of prepackaged snacks such as Goldfishes and fruit snacks. If your family is anything like mine, when you’re gone on a road trip you can all get sick of “junky” snacky food after a while and after eating out at restaurants most of the time. Fresh fruit and veggies or something cold like cheese or yogurt sound so dreamy after a few days away from home. Not to mention all those prepackaged snacks are of course not as healthy as fresh fruits and veggies. Here are a few ideas of what to bring on your road trips to at least start out on the right track. No sense in burning your family out on the Nutrigrain bars starting on day one! 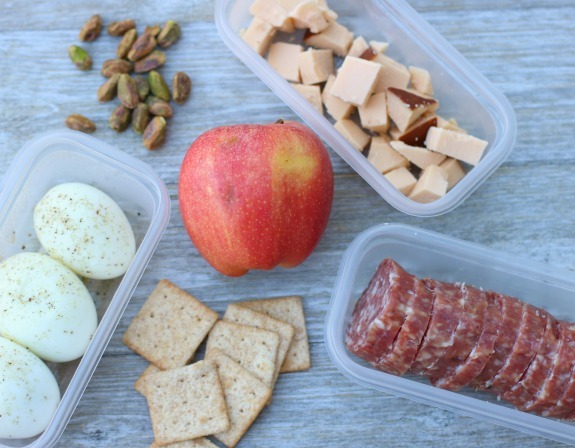 Ziploc bags are always a great option for packing snacks. So are food storage containers. You can buy an 8 pack at Target for about $3. Or I like to buy the kind of lunch meats that come in a little reusable container and I save those up for times like this. The containers are great because they stack together nicely and compactly when they are empty. You can rinse and reuse them again and again. For ice you can start by freezing water bottles for your ice and then reuse some of those Ziploc baggies and fill with ice along your trip. You can fill them at the hotel too. 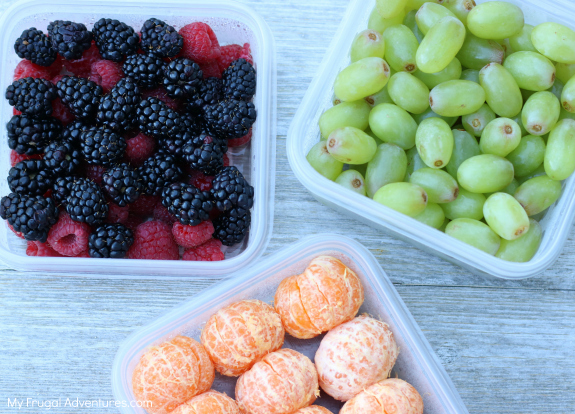 With a little prep work, fresh fruits make a great snack idea and are more likely to be happily eaten if they are all ready to go. Peel mandarin oranges and wash and peel grapes off the stem so they are all ready to go. Veggies are a great road trip snack because they are crunchy and that’s one thing we love when traveling for some reason. Some great options are: carrots, celery, broccoli, snap peas, cherry tomatoes, black olives and you can even pack little things of hummus or ranch dip if your kids are old enough to not make too much of a mess. It probably wouldn’t be a road trip without treats, now would it? A good idea is to keep the junk food pre-portioned and limited. Hopefully your family won’t be wanting too many treats if their bellies are full of the healthy options first. Hopefully this gives you some good ideas for any road trips you might be going on this summer. 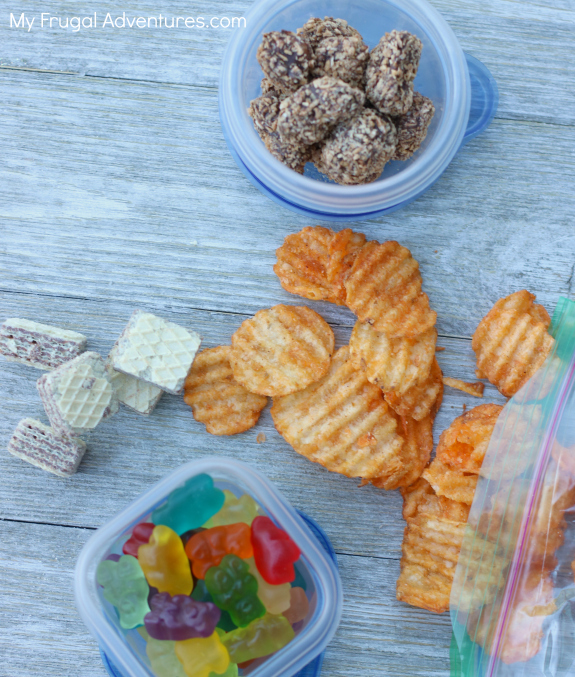 Do you have any tricks for packing and transporting your favorite snacks? 5 Non-Cake Uses for Your Bundt Pan! Cantaloupe: It Deserves the Attention! Is it REALLY Necessary to Sautee First? Which stick should I use?